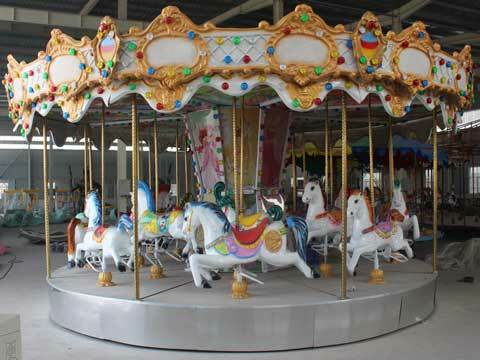 Carousel ride has been the most attractive attraction in the amusement park. Sometimes, we also call it merry go round. 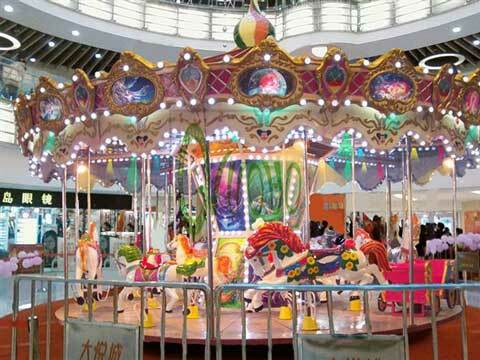 There are many kinds of carousel rides in the amusement rides markets, but from its drive mode, there are mainly two kinds of carousel ride, one is top-drive, the other one is under drive. Both of the two drive are all have their own advantages. Here I just give you a brief introduction about the top drive carousel for sale. For the top drive carousels, there is a motor on the top, and also there is a gear, bearings and rods which links the motor, when the motor start to run, it will drive the gear, and the gear drives and lifting the rods. When you riding on the top drive carousels, the carousel will rotating ups and down which may give you a feel that seems like you are riding on a real horse. Lots of people, especially the children, like this kind of rotating ride which may also bring you more passengers and benefit you a lot. As for Beston carousel equipment, we have rich experiences in this field. 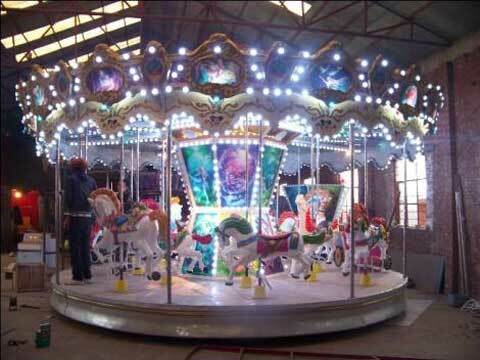 With the novel appearance, scientific design and reasonable prices, Beston top-drive carousel rides has been exported to all over the world, and at the same time we had got lot of praises from our old customers.